Perhaps the most important word in the title of Raymond Buckland's Practical Candleburning Rituals is the first word: practical. The magic you will learn from this book is not only simple to learn and easy to do, it is also practical very practical. It covers virtually anything you might want to use magic to obtain. Do you need to know how to stop your lover from straying? You'll find a ritual here. Do you want a ritual to honor the dead or see into your future? How about improving your health or mending an unhappy marriage? Need money? Want to overcome a bad habit or find love? You'll find rituals for these and many more purposes in this book. Because these rituals are so straightforward, there is another great advantage to this book. Once you have learned how to do the rituals in this book it will be obvious that you can easily design your own! In this way you can use candleburning to cover even more specific situations. In the current, third edition of the book, Buckland also answers the question of what to do if you don't have access to candles. 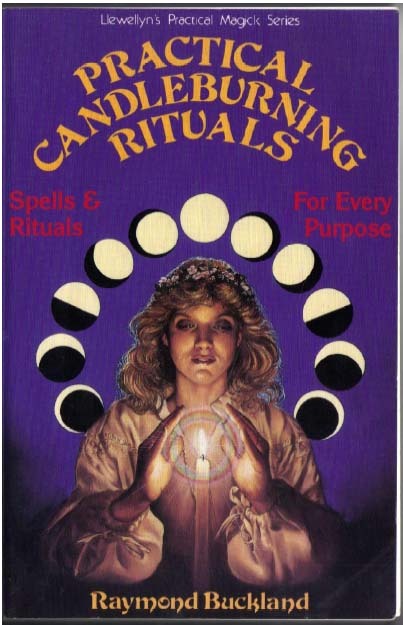 There is an entire section on rituals without candles. Now, no matter what your needs, you have no excuse not to do magic.